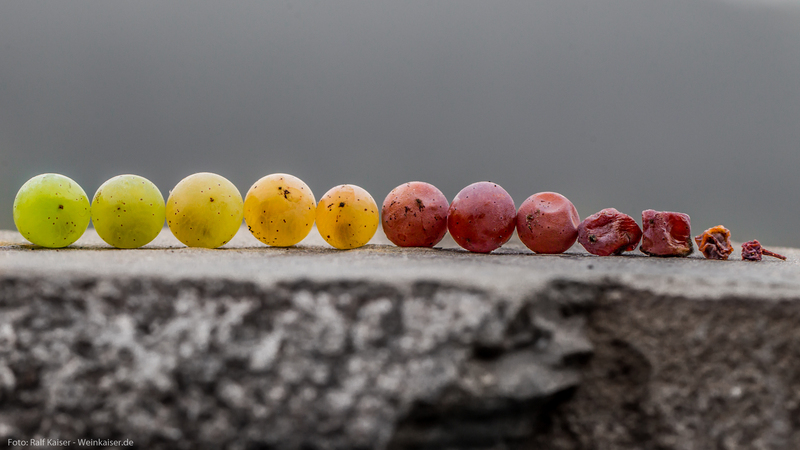 All Riesling berries picked on October 18. 2018 from a parcel of the famous Mosel-Vineyard Pündericher Marienburg that is biodynamically managed by winery Clemens Busch. 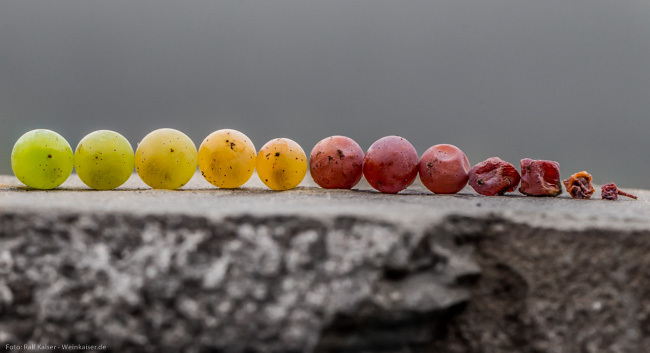 The request for a picture, that shows the different stages of ripeness (from Kabinett to Trockenbeerenauslese) came by the German Wine Institute when most wineries already had completed their harvest, so I was a bit lucky to find the whole range. I created this download page because of the hundreds of times the pic was shared on Facebook and nearly as many requests I received per Email or FB-Messenger.